In the American criminal justice system, for many charges, after one has been arrested and booked (photographed for a “mug shot,” fingerprinted, and paperwork completed) one goes to jail to await a preliminary hearing and after that a trial of the charge. 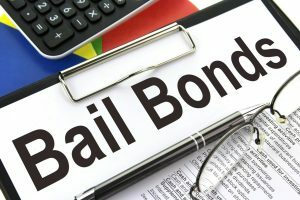 The only way to be released from jail is to “post bond.” That is the process of paying a percentage of a substantial sum of money to the court as a guarantee that the person charged will appear as needed for hearings and especially for the trial. A person out of jail on bail, who has been charged with a crime, is in a legal limbo. Legall is still innocent but a cloud hangs over his head. He has been charged but he has not been either convicted or cleared. He is waiting for a future adjudication of his case. He is still subject to criminal penalties (e.g., fines) and punishment e.g., prison or even death).